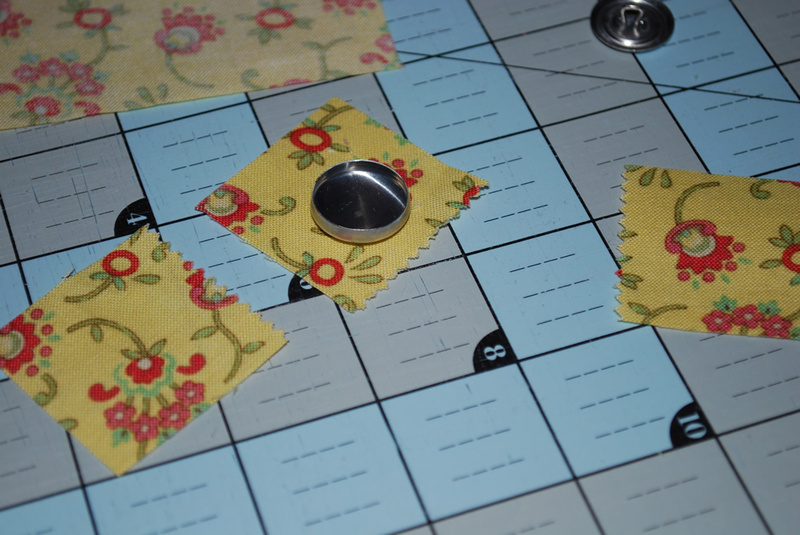 Cut the charm squares into 1 1/2″ squares. Honey bun strips could also be used since they are precut into 1 1/2″ strips. 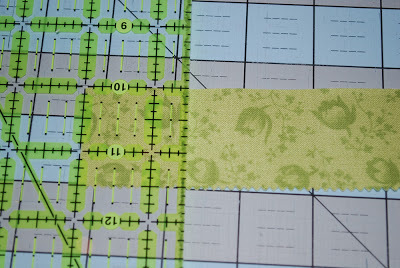 Just cut down to 1 1/2″ squares. 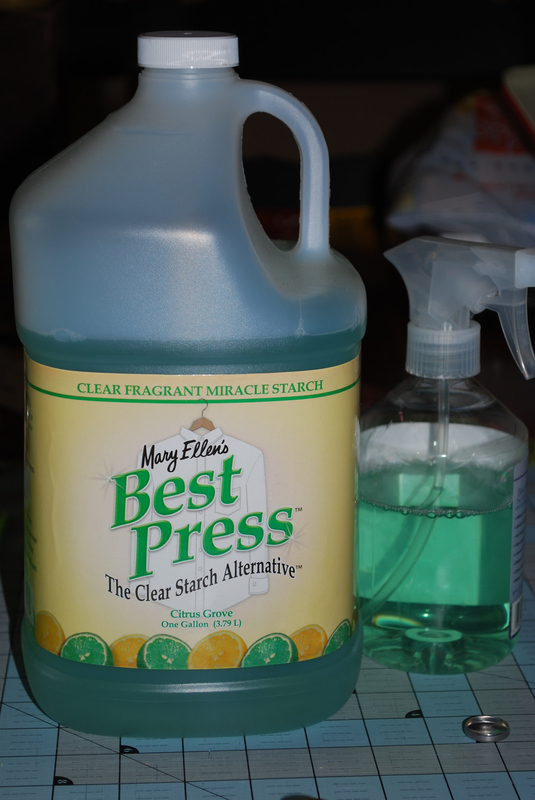 Spray once on the fabric square to dampen it with Mary Ellen’s Best Press. 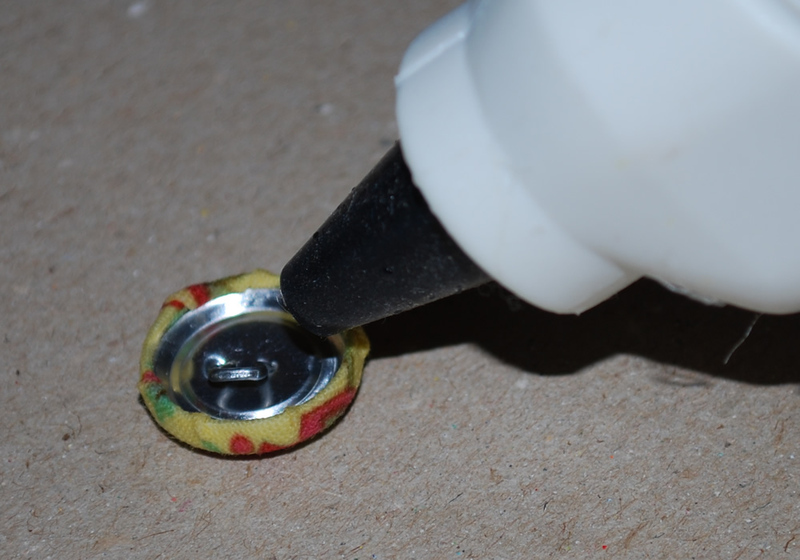 This helps the fabric stay around the cover button when working with it. 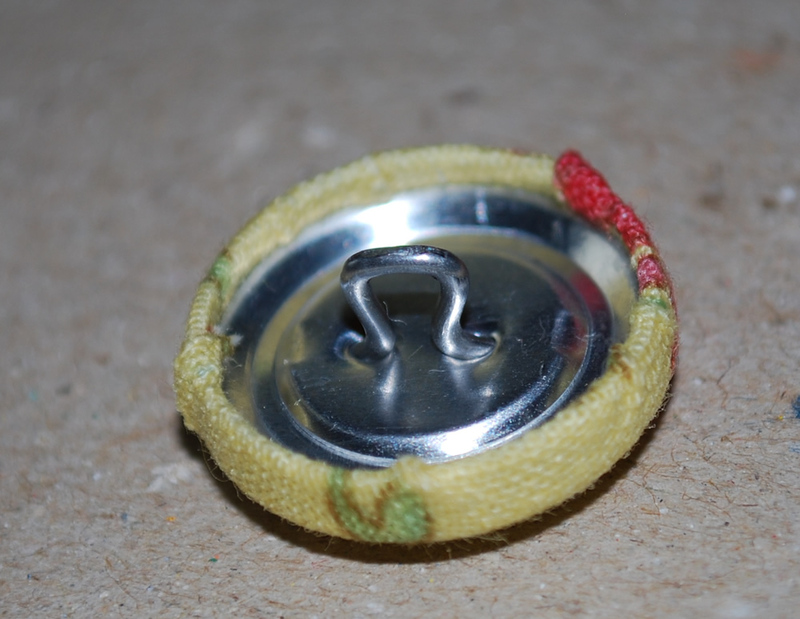 wrap the fabric around the cover button until all the ends are on the inside of the button. Then press the back of the button firmly into place until it snaps down. 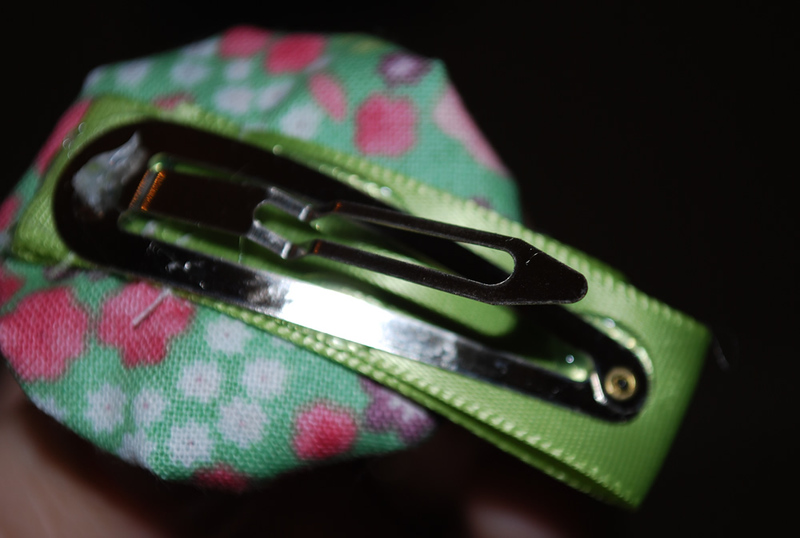 Bend the button hole down so that it will not be in the way when applying to the clip. Add a glob of hot glue or craft glue. 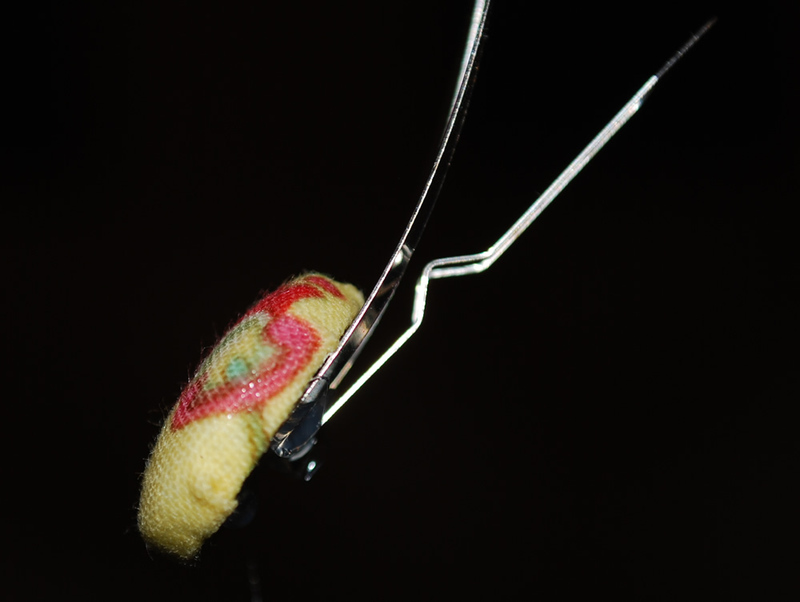 With the clip opened, carefully glue the end of the clip to the back of the covered button. Let dry before closing clip. Now follow these steps for the rest of your clips. You can get 9 clips out of one charm square. 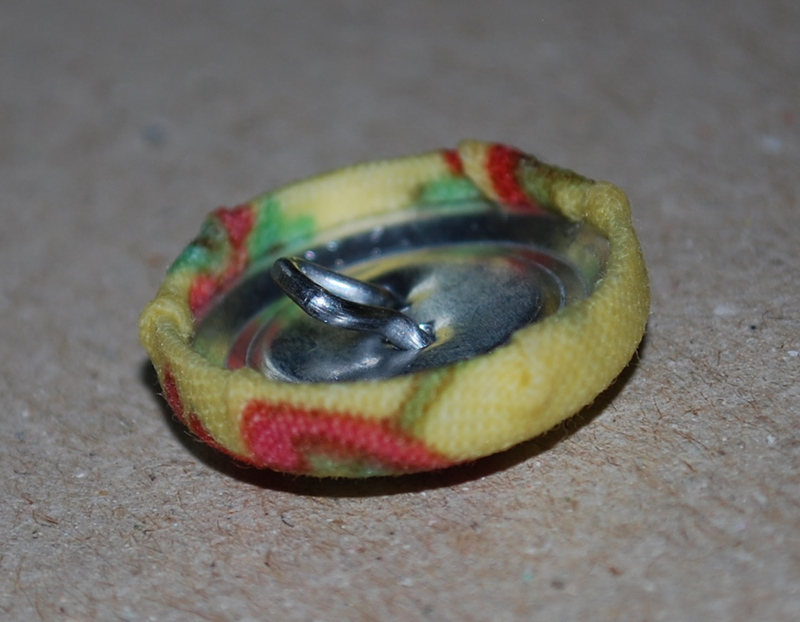 For an extra added touch… add a yoyo to the underside of the button before attaching to the clip. 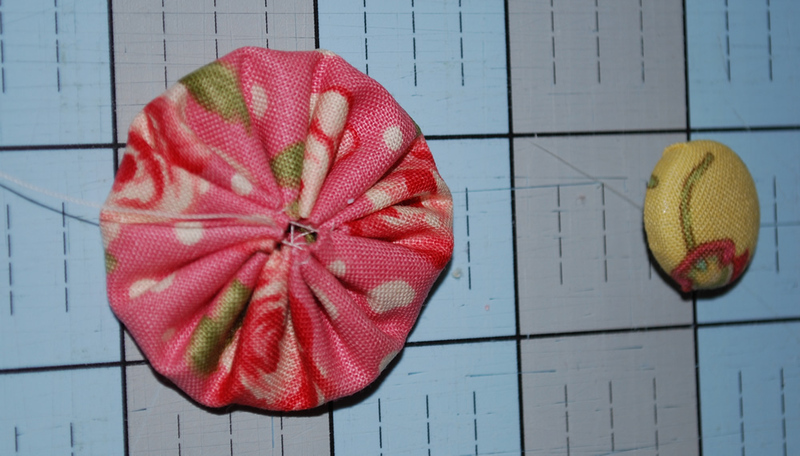 Following instructions for the Yo-yo maker, make a yoyo from a charm square. 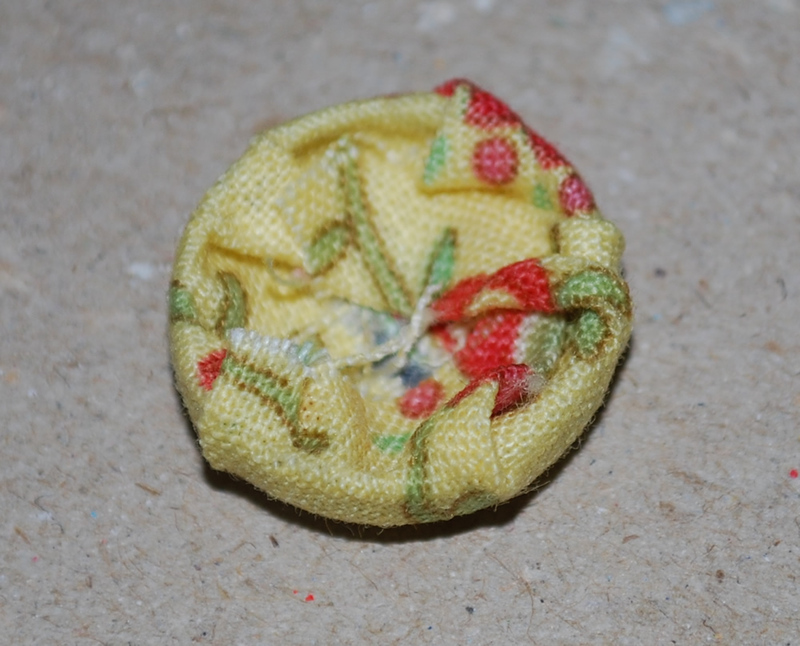 Hand sew on a covered button… you do not want to bend the button hole if you are making them this way. 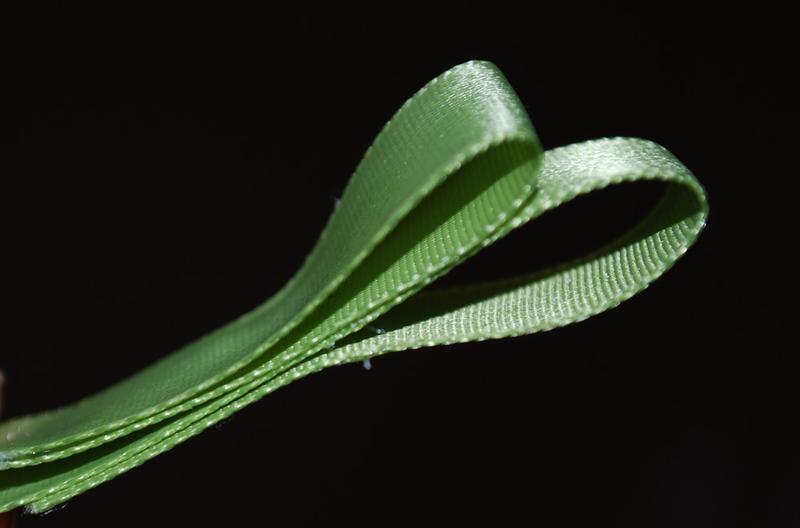 With a thin piece of ribbon, fold it over a couple times creating a leaf. 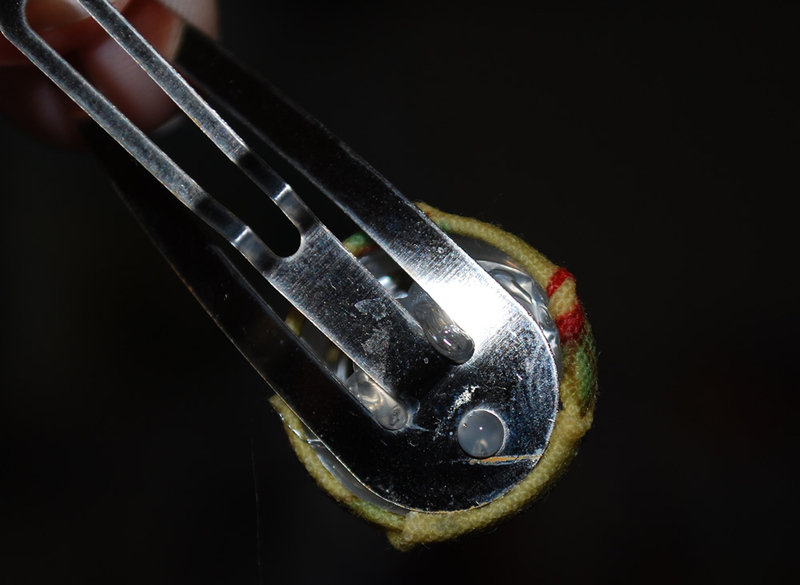 Stitch on the leaf to the back of the yoyo and then glue the clip to the ribbon while the clip is opened. 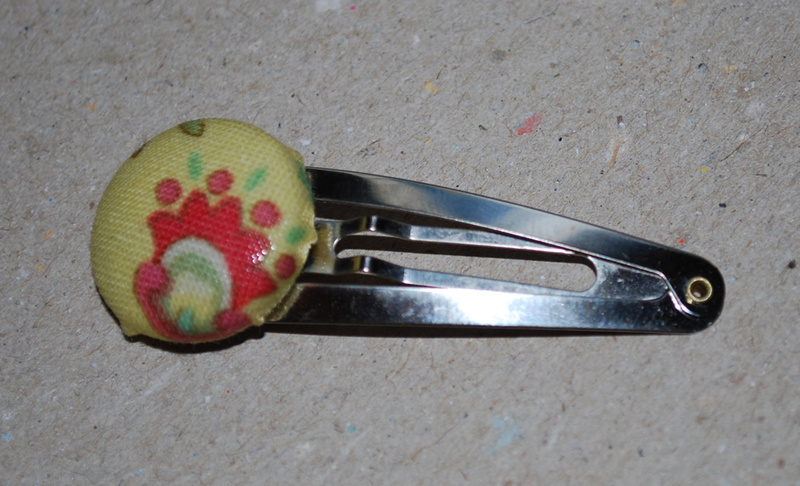 You now have one adorable little Hair clip. 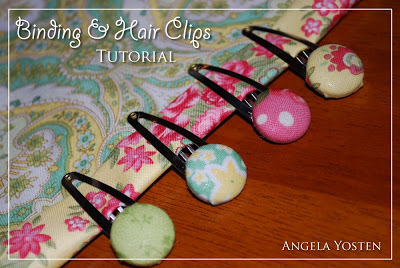 A few variations of hair clips that you can make using binding & hem clips. 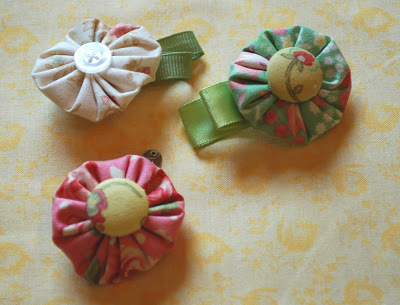 Lots of adorable binding and hair clips to coordinate with everything. 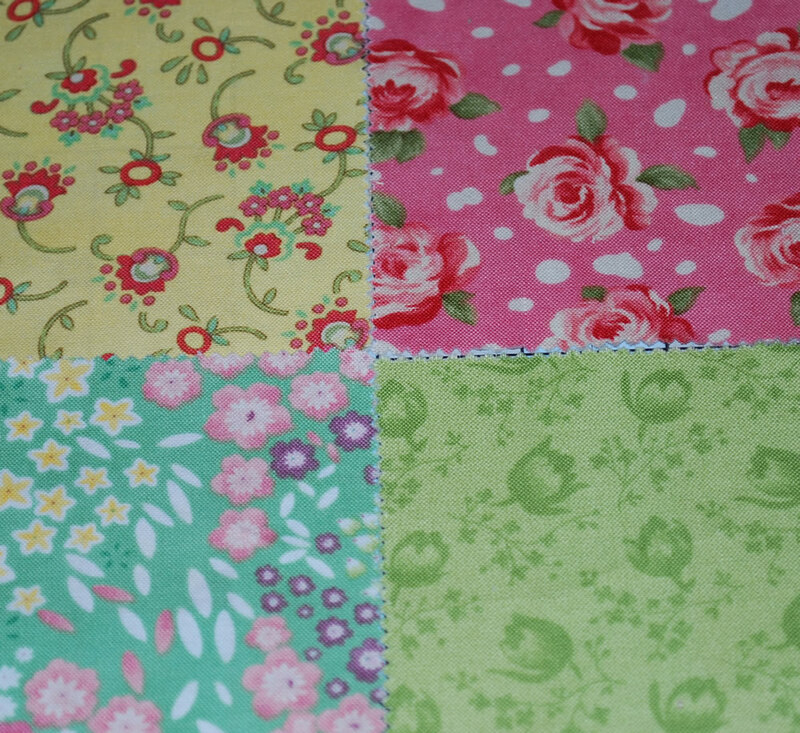 This entry was posted in Accessories, Baby and Kids, Charm Pack, Moderate and tagged April Cornell, Spring Magic. What a great tutorial and ideas that you gave! Love it! These are adorable. I would make one change though when making the clips. 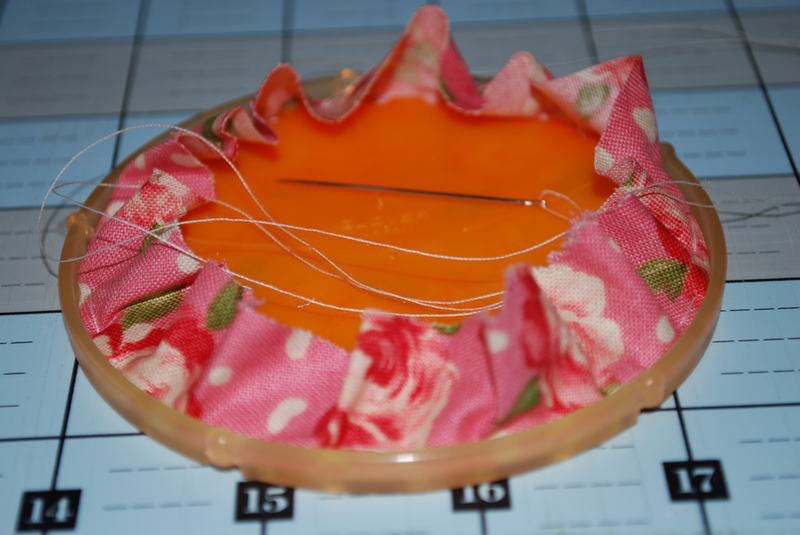 I would add a hand stitch before gluing to the clip. We were given a few homemade clips and if they weren’t reinforced with stitching the glue didn’t hold up very long to the opening and closing of the clip. I’m loving this. Seriously! 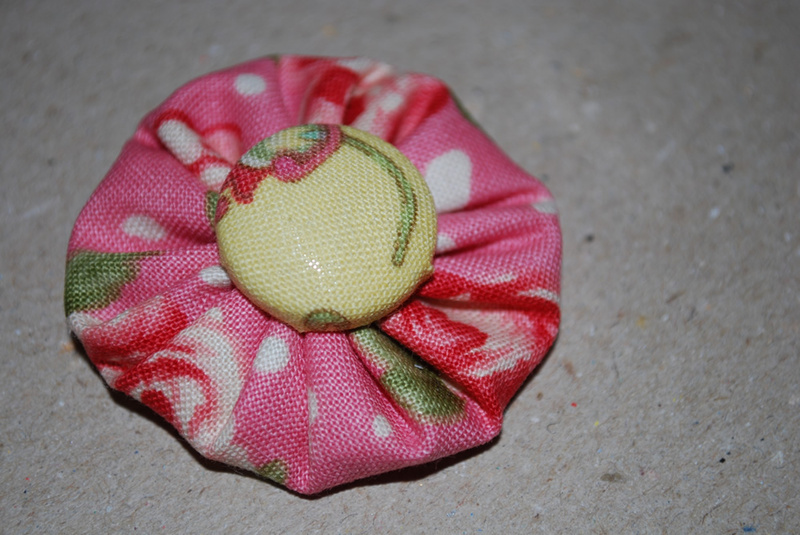 I’m going to make some of hair clips for all the little girls I know! Cute! 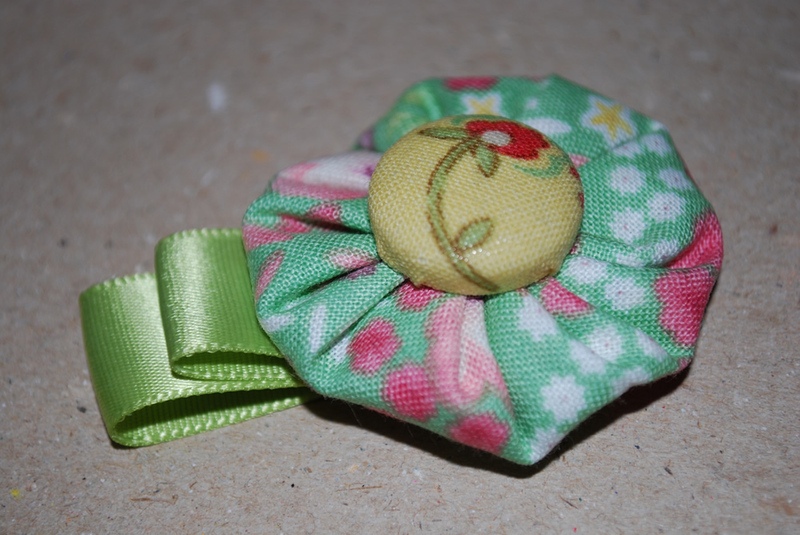 I made something similar using the flower yo-yo maker. What a fun project! I must make some of these for my youngest daughter and my little grand-daughter is going to need some too. REALLY cute clips Angela. Thanks! Great idea for hair clips. I am going to have to find some buttons and hair clips today! Those hair clips are so cute! Thanks for a great project! Little girls will LOVE wearing these!